Is ice cream your guilty pleasure? If so then this is a competition that you definitely can't miss! 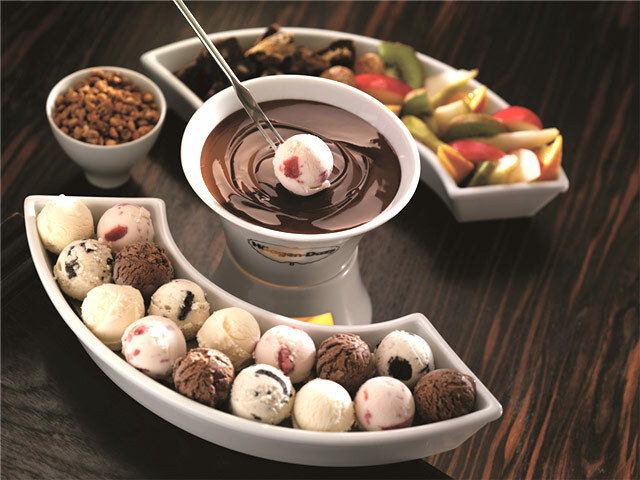 Stand the chance of winning a luxurious and decadent Häagen-Dazs Fondue for two - a truly unforgettable treat! Finished with any topping: chocolate vermicelli, rainbow vermicelli, almond flakes, caramelized nuts, nut crunch and raspberry coulis ( served cold). What country does the Häagen-Dazs brand originate from? This prize includes a decadent Häagen-Dazs Fondue for two at the Häagen Dazs store in Sandton City. Known for its superior quality, Häagen-Dazs ice cream uses only the finest, hand-selected ingredients, that are gently blended together to minimise air in the mixture. This ensures the creamy, smooth, melt-in-your-mouth texture that the ice cream has become known for. Don’t cheat yourself…treat yourself and devour in your very own Häagen-Dazs experience.